Widely regarded as the best treatment for missing teeth, dental implants have taken dentistry by storm. Dental implants are suitable for most adults and they can be used for older people; many older people worry that they are not a suitable candidate for implant treatment because of age, but the only factor that is taken into consideration is your health and the density of your jaw bone. In some cases, it may be necessary to carry out a bone grafting procedure if there is a lack of bone density in the jaw, but this should not prevent you from undergoing dental implant treatment. Before treatment, a thorough consultation will be carried out to check that you are a suitable candidate for treatment. Implant treatment is generally painless, as it is carried out under anaesthetic, and sedation can be used for nervous patients. 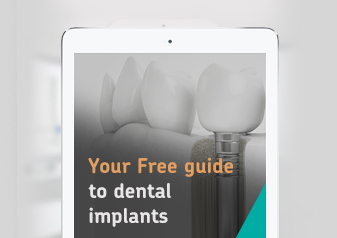 We’re happy to arrange a meeting with patients who have already had implant treatment so that you have a better understanding of what is going to happen and so you can have any questions you might have answered by people who have already been through the process. Dental implants are a really effective long-term treatment for missing teeth; they should last a lifetime provided that they are cared for properly, just like natural teeth. Implants produce amazing aesthetics and they are highly functional; once the new restoration is in place, the tooth or teeth will function in the exactly the same way as your natural teeth. Implants are ideal for patients who have lost a tooth as a result of injury or an accident and they are also a great option for patients who have experienced problems with dentures in the past.